Plumb Center has launched a brand new nabis Bathroom Collection brochure, which features more stylish, high quality products than ever before. 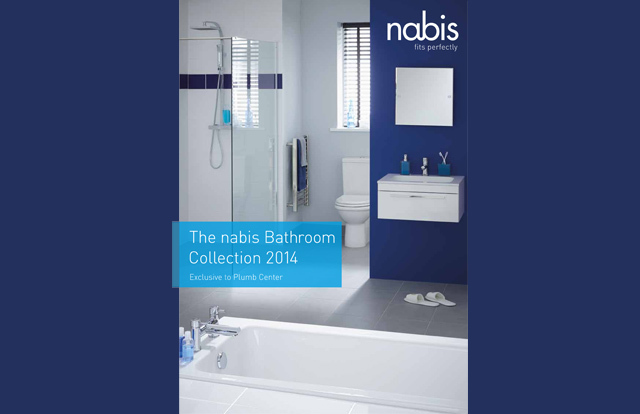 The nabis range offers everything needed for a complete bathroom installation. Exclusive to Plumb Center, the nabis range of showering, sanitaryware, brassware and furniture products has been put together to offer cost effective, and therefore profitable, choices for installers. Most nabis products kept in stock are available to collect from Plumb Center branches nationwide in under 48 hours. The new brochure, which contains retail prices, is designed to be given to customers by the installer and features quality lifestyle photography and useful line drawings. ‹ Is 2014 the year of renewable energy?